You could forgive a lack of creativity in youth culture in 2019. The palpable uncertainty of issues like Brexit, immigration and women's rights threatens to douse the flames of creativity in the next generation. But in times of hardship, authentic voices, stories and creativity can always thrive. A year later she was awarded the PRS Lynsey De Paul Prize for outstanding emerging female songwriters. 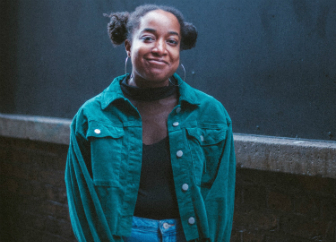 Looking to 2019, Amahla is set to release her full EP mid-February, with a launch event at The Roundhouse, London, on 19th February. The first release from the EP is the affecting and soulful Dorothy's Verses. The track tells the story of Amahla's grandmother, a domestic abuse survivor who now suffers from Alzheimer's. Dorothy's Verses explores what truth is, looking back at her life through the lens of the fragmented memories she has now. It's a song that's reflective in it"s nature, telling a personal story, while also speaking broadly about the need to amplify women's stories in the era of Me Too. "Dorothy's Verses" is my grandmother's story of looking at her life through a new lens of Alzheimer's. "But it's also about the need to hear women speak from their truths. "We're living through Me Too, a movement where women are reclaiming their stories and pushing them into our collective memories, this is but/just one verse." Amahla's debut EP 'Consider This' is out now. CLICK HERE for details.